A small tender perennial with dark green heart shaped leaves. 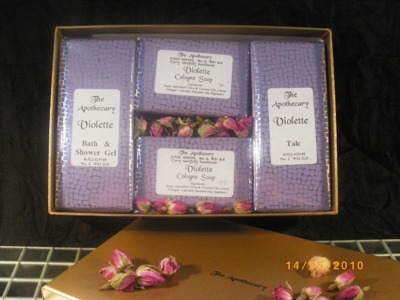 fragrant violet blue flowers and obique mizome. Native to Europe and parts of asia cutivated worldwide. Both leaves and petals contain nonadiennal, parmane, hexhy alcohol, benzol, lonone and viola quercitin. Possible sensitization in some people. 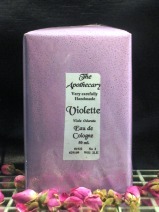 We use violet essential oil in our skincare and toiletries ranges.